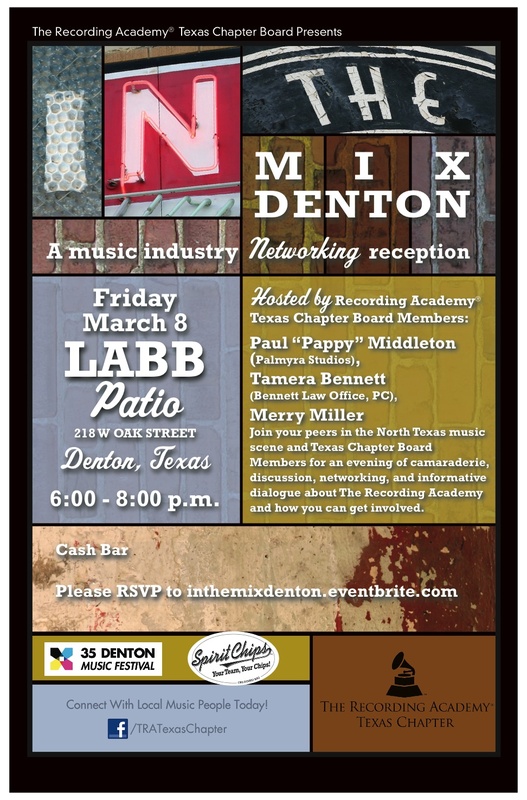 Join fellow members of The Recording Academy®, along with music industry professionals from around Texas for an evening of networking and discussion about music in the Metroplex! We encourage you to bring a friend or colleague in the industry that you think might be interested in joining or learning about The Recording Academy. RSVP HERE by Thursday, October 16. Link to invite from GrammyPro.